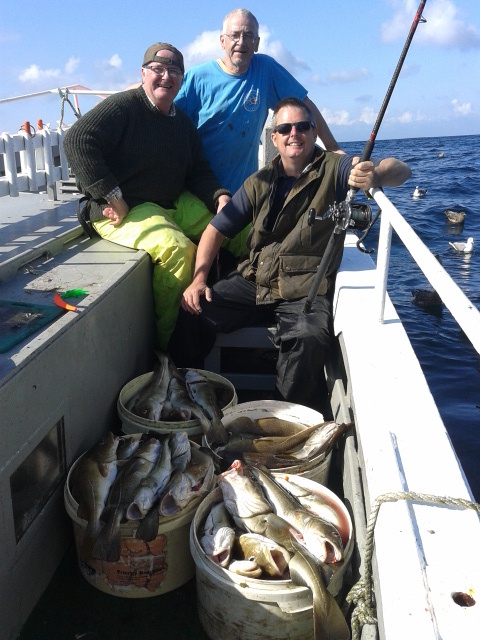 Busy day for the skipper, ninety nine selected keepers landed, gutted and kept cool for the boys to fillet on the way home. Well done lads you had a busy day too. 03-08-2014. 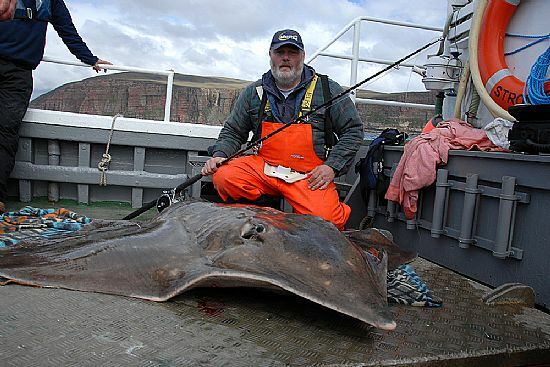 Roy Anderson one of the club skippers with a personal best Common Skate 229lb. 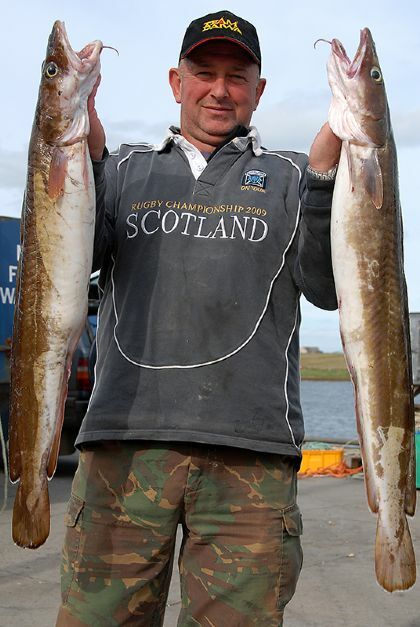 Caught, measured, tagged and released on 13-06-2012. Pollack caught closer in or over the shelves. 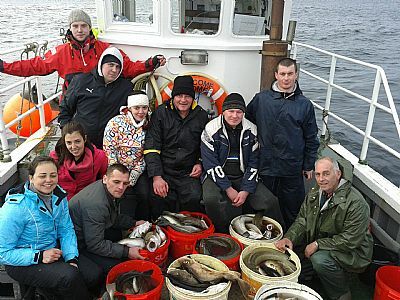 There are also species such as Torsk and Wolf Fish which inhabit our northern waters. Dogfish and Spur-dog may also appear. 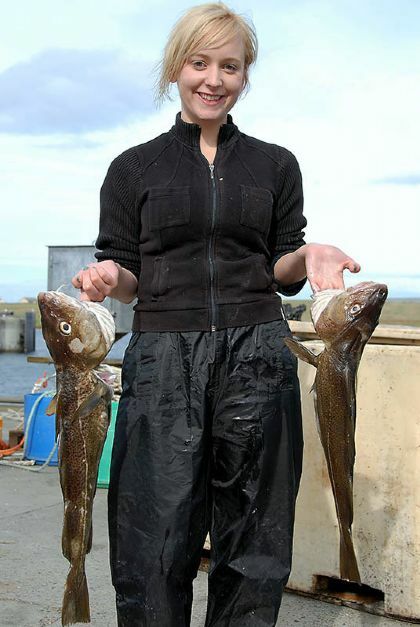 Cod, Ling, Pollack and Coalfish. 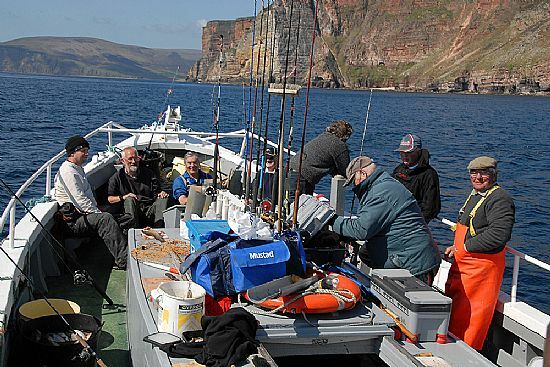 have to be specifically rigged and fished for, with best results at anchor. 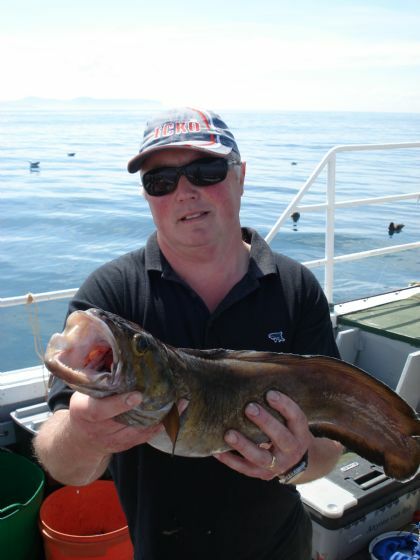 Berty Robertson with a Torsk, these fish are fairly rare and are usually found in waters further to the north of Orkney, this fish was caught on the wreck of HMS Hampshire. be loaded with 30-50lb Braid. line would do equally well. This strength of line is to withstand abrasion from rocks. 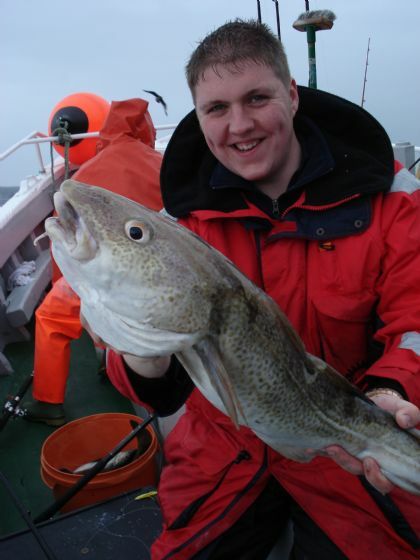 and Haddock and also will catch Cod and Ling if baited with mackerel. 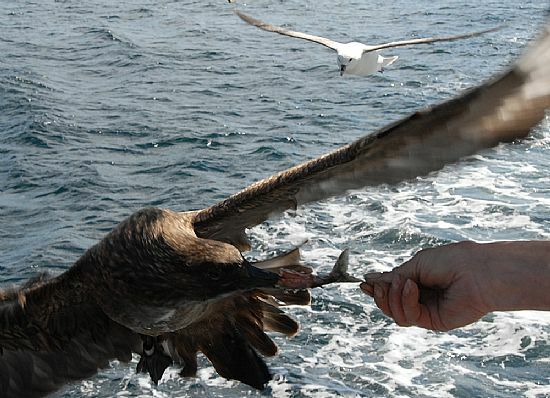 There is more to fishing than just catching fish. 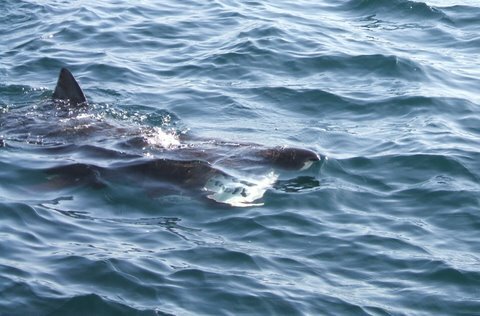 Below is a Basking Shark which are seen every year during the summer months, we also regularly see, Killer Whales, Minke whales, seals, sun fish, porpoises and dolphins. 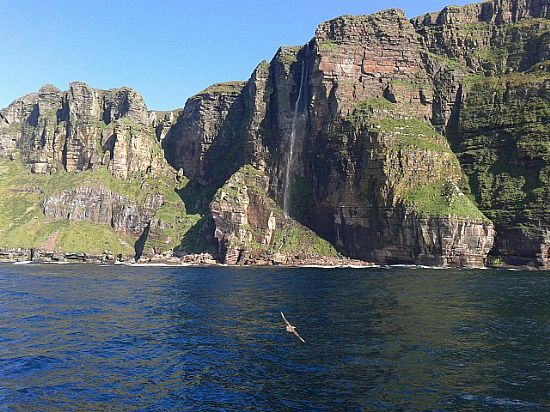 Not to mention the host of birdlife inhabiting the cliff faces. 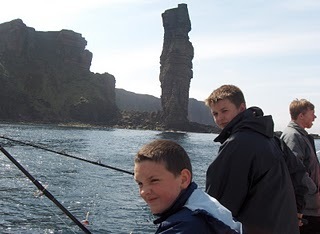 Orkney Islands Sea Angling Association would like to thank their sponsors for their sponsorship and support.